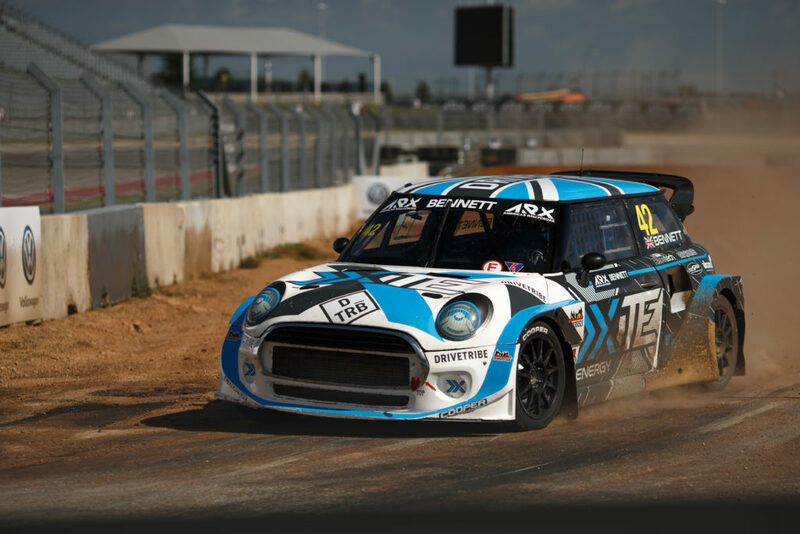 This weekend Oliver Bennett and the XITE Racing team will take the XITE Mini Cooper SX1 back to Austin, Texas as the Americas Rallycross series comes to an end for 2018 at Circuit of the Americas. Last time out at COTA Bennett showed good pace which was undone by mechanical problems, these have now been ironed out and expectations are high for the weekend ahead. “We have done a lot of work on the car since then and some testing with the aid of Pipo and the car is running very strong.” comments Bennett. “I really enjoyed this event last time and had good speed but was let down with a hole in the intercooler which sucked all the power and by the last lap of Q1 with one corner to go it shutdown mid corner meaning I lost my second place position to Ken Block. It just went downhill from there with the issue! A split season between the FIA World Rallycross Championship and ARX has seen the XITE Racing team head all over the world. “It has been an amazing year with some great tracks, doing more events than we could have imagined this year has also been great from a seat time and car development point. In terms of highlights this year, there has been a couple that have stood out, “Circuit wise it has to be Holjes, it was an amazing track to drive and we had some really promising speed there with a good follow to finish behind Loeb in Q4 which was great fun. “Loheac, with the amazing crowds, super fast flowing track was also a great experience to be a part of! Looking ahead to 2019 Bennett already has his eyes on more of the same, “We will most likely do a mix of ARX/WRX like we have done this year to further develop the car and myself as a driver. XITE ENERGY was created to by the need to have an energy drink that aligned with its fast paced and innovative surroundings. New science educated that smoking is harmful and caffeine and sugar isn’t what prodivdes energy. Yet here we are 10 years after the launch of the energy drink industry and the drinks have failed to keep up with technology and it’s advances.